Typically, when a food processing company is involved in unethical business practices, we’re worried about the food that ends up on our dinner tables. In the case of Breaux Bridge, Louisiana-based C.J.’s Seafood, however, it turns out that the employees are the ones to be concerned about. On June 8, the Food Chain Workers Alliance (FCWA) released an extensive report detailing the abuse and low-pay standards commonly practiced by a number of companies in the food industry. 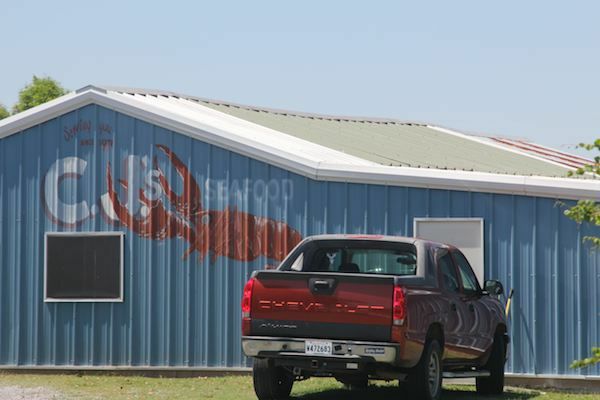 In a timely turn of events, workers for C.J’s Seafood walked off the job after conditions similar to those divulged in the FCWA’s report became insufferable. Some of C.J.’s employees called authorities and contacted lawyers, but those cries were met with a simple visit from a local sheriff’s deputy, who left moments after his arrival. As a result, employees were met with an even more unsettling reaction from their superiors. The general manager of the plant, Michael Leblanc, called upon his employees to tell them he was aware of their efforts to report the working conditions and abuse, and explained that he had contacts in Mexico with both “good people and bad people,” according to Stephen Boykewich of the National Guestworker Alliance (NGA). “The workers have seen this guy in Mexico, and they didn’t think it was an idle threat,” Boykewich added. The workers have made significant efforts to bring the situation into the national spotlight, but more needs to be done. The Department of Labor has received complaints from the employees and experts expect them to conduct an investigation into the allegations. Currently, by the letter of the law, these employees have been victims of wage theft and discrimination, in addition to other forms of abuse and threats against their families. If you have been a victim of wage theft or any other unethical business practices under your employer, you may be entitled to financial compensation. Contact the Davis Law Group today at 206-727-4000 to schedule a free, no-obligation consultation and discover if you may have rights to a claim.